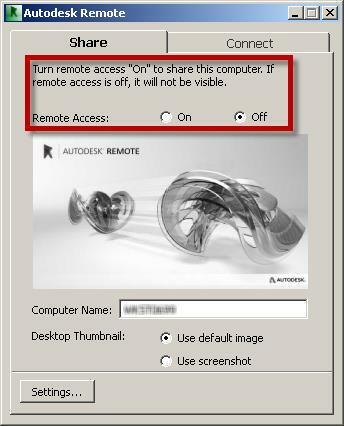 Autodesk Remote: What Is It and What Can It Do For Me? In the last month, Autodesk released Autodesk Remote. This new app allows you to take your designs anywhere, but how do you know if it is for you? Are you a Subscription Customer? Are you tired of spending your nights in the office to meet a deadline? 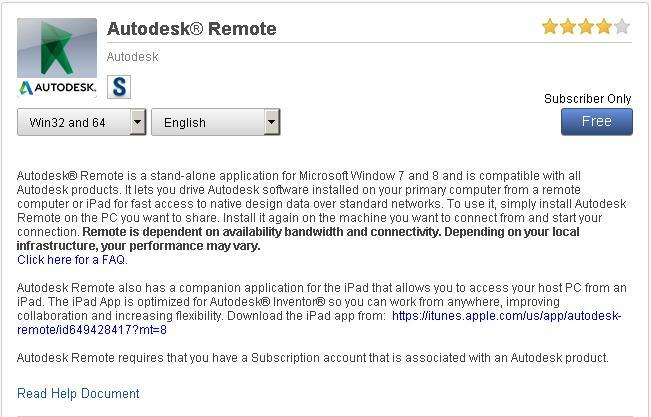 If so, stop by the Autodesk Exchange to download and use the new Autodesk Remote. Witness as AR (Autodesk Remote ) folds space to bring you the same cutting edge design applications you use in the office to your iPad (w/ Touch Gestures), and Windows computers. Have access to all of your Autodesk products as well as your entire machine where ever you go—where internet is available. Continued collaboration with your team as you would in the office. Minor issues with the iPad App such as using gestures, but are very easily fixable. View the Autodesk Remote Support FAQ for more information. The installation process last about 10 to 20 seconds and you can use it right away. After logging into AR, there are two tabs “Share” and “Connect” along the top. From the Share tab you have options to toggle on or off incoming connections to the machine as well as a few others as shown below. 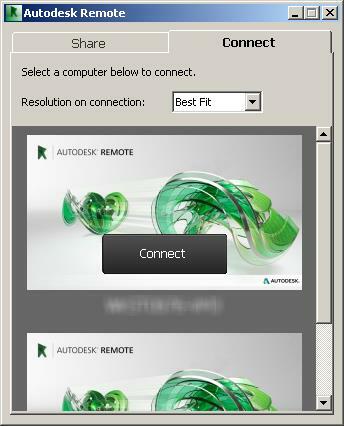 From the “Connect” tab, you’ll see a list of computers where you installed and signed into Autodesk Remote. On this tab is also an option for screen resolution for when you access those machines. NOTE: You CANNOT maximize nor stretch the session window, so be sure to set the resolution before connecting or just choose “Best Fit”. 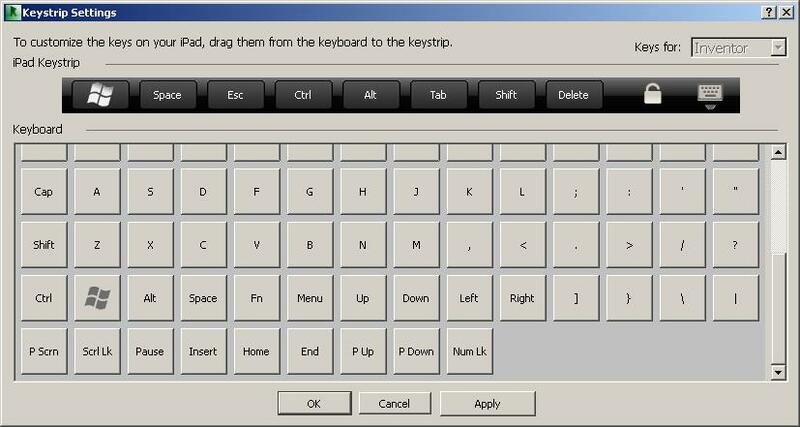 For more information on AutoCAD Remote, see detailed information on the Autodesk Exchange. If you’re not on subscription, please call us at (800) 836-5440 and talk to us about the benefits of Autodesk Subscription.